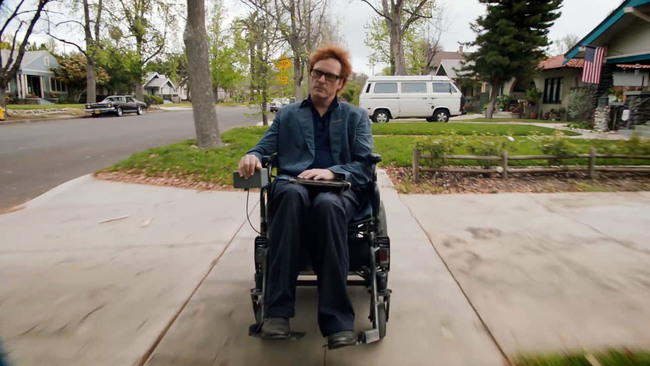 Movie: "Don't Worry, He Won't Get Far on Foot"
A cartoonist struggles to overcome his alcoholism after a drunk driving accident left him paralyzed. If you want to watch a movie that defines a man by his disease, "Don't Worry, He Won't Get Far on Foot" may be the film for you. This film is directed by Gus Van Sant, who has directed other projects like "My Own Private Idaho," "Good Will Hunting," and "Milk." Van Sant also wrote the screenplay, based on the biography of the same title by John Callahan. 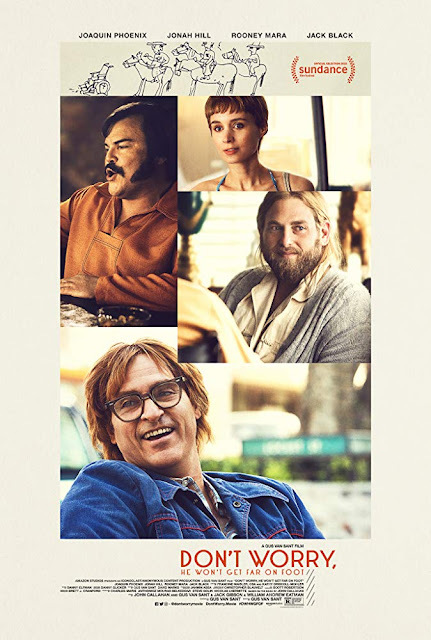 This movie tells the life story of the John Callahan himself (Joaquin Phoenix) and focuses on his struggles with alcoholism. It shows how his addiction led him and a friend to get into a car accident that caused John to become a paraplegic with only limited functions in his arms. It focuses heavily on his drinking, his subsequent recovery through a 12-Step program and his eventual career as a cartoonist, who often worked in dark comedy and satire. We believe deep down, "Don't Worry, He Won't Get Far on Foot" wants to be more profound than it is. It is a true-life character sketch about one man's struggle with alcoholism, but because of the way the film is structured, we really don't see Callahan as much more than an alcoholic until the last 30 minutes of its very lengthy runtime. It's as if John's insobriety was one of his only defining characteristics until he becomes disabled, which then becomes the second defining characteristic. The story is put together in a very disjointed and jumbled manner, which makes the narrative hard to follow. We found it difficult to tell at what point in his life he decided to actually get help and try to sober up by joining Alcoholics Anonymous. It jumps back and forth all over his life's timeline and has parts where he was still drinking and other parts where he was successfully working through his steps and attending meetings regularly. We don't really know if he slipped back into drinking multiple times, or if the story makes it look that way because of its non-linear nature. Another important plot point revolves around his relationship with a woman named Annu (Rooney Mara), and again, we aren't exactly clear at what point in his life this relationship took place. The best part of this film is the acting. It is exceptional. Joaquin Phoenix and Jonah Hill, who plays John's AA sponsor Donnie, both give excellent, Oscar-worthy performances. 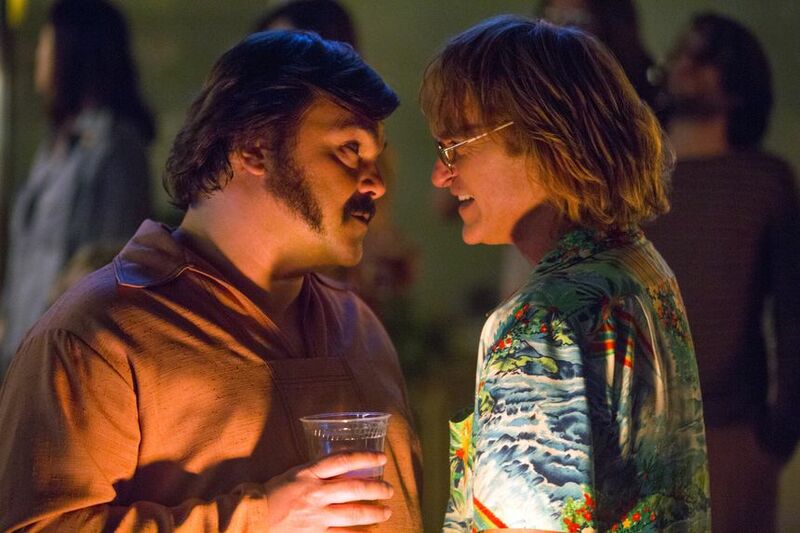 Though they are not in this movie too terribly much, Jack Black, Beth Ditto, Kim Gordon, and Rooney Mara are all wonderful as well. 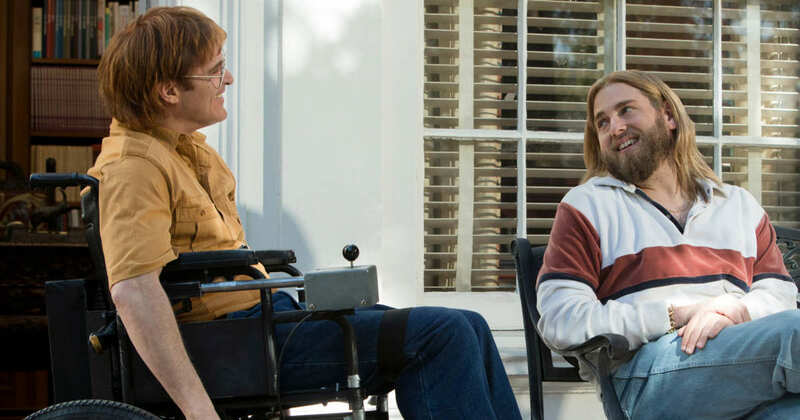 At its core, "Don't Worry, He Won't Get Far on Foot" is a drama with a bit of dark humor that falls in line with the comedic stylings John Callahan used in his comics. That being said, the biggest laughs come from his drawings that are shown on-screen. While we enjoyed this story, it also has quite a few problems. There are some odd directorial choices that some viewers may get behind, but we felt they were unnecessary. On multiple occasions, the picture rolls vertically or horizontally through a montage of scenes in Callahan's life. At first, we thought there was something wrong with the movie, but this was very much intentional. We felt like these additions were superfluous and pointless. It felt like Van Sant was trying to do something slick with this style of editing, but it didn't turn out that way and wound up being extremely distracting. In the end, the acting alone makes this film worth watching. Unfortunately, it won't be the most influential piece of cinema those who made it might have hoped it would be.